There has been a lot of rain in Virginia lately. Have you noticed strange water spots on your ceilings? These water spots could be cause by several problems. But if they are on you top floor ceiling, they may indicate issues with your roof. Your first question needs to be, “Is anything missing?” You should go outside and look at your roof. Shingles could be missing. This could be an easy fix. If a shingle or two is missing, you simply replace the missing shingle. Another simple cause for these water spots could be old roof vent flashing. You know those pipes that stick out of your roof. They are vent pipes. They have special flashing that is partially composed of rubber. Over time this rubber will begin to fall apart. Thought replacing one of these is quick and simple, replacing one is more involved than replacing a shingle. 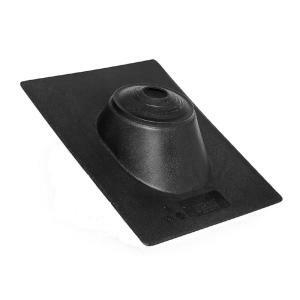 Contact us for more information about replacing an old roof boot.